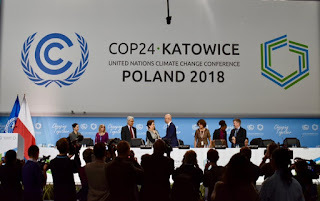 The 24th meeting of Conference of Parties (COP-24) to United Nations Framework Convention on Climate Change (UNFCCC) began in Katowice, Poland. COP-24 is expected to finalise guidelines for implementation of the Paris Agreement adopted in 2016. 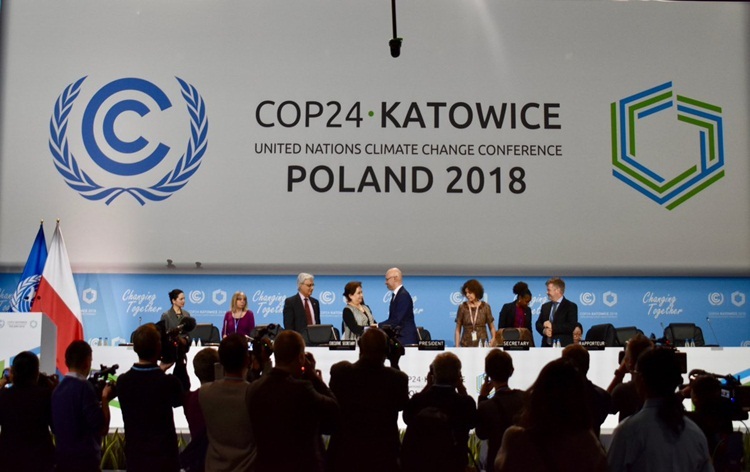 Delegates from nearly 200 nations are participation in COP24. Indian delegation to this conference is led by Environment Minister, Dr Harsh Vardhan. India expects that COP-24 will be able to frame guidelines, which are pragmatic and gives due consideration to challenges and priorities of developing countries. India considers that the outcome of COP-24 should be balanced, inclusive, and consistent with principles and provisions of Convention and its Paris Agreement. India strongly supports the objective of Paris Agreement to strengthen global response to threat of climate change by keeping global temperature rise well below 2 degrees Celsius from pre-industrial revolution period. India considers it important, as it is linked to issue of poverty eradication. India will highlight its concern for climate change and reaffirm its commitments to finalisation of Paris Agreement Work Programme. This agreement also focuses on developing countries' need to adapt to adverse impacts of climate change, in a manner that it does not put additional burden on them. India will be setting up a pavilion to create awareness about India's positive climate actions in various sectors of economy. The theme of Pavilion is 'One World One Sun One Grid' as highlighted by Prime Minister Narendra Modi during first assembly of International Solar Alliance (ISA) in October 2018. It is an international environmental treaty negotiated at the Earth Summit in Rio de Janeiro in 1992 and entered into force in 1994. It has a near universal membership as it has 196 countries and European Union (EU) as its members. It is the parent treaty of the 1997 Kyoto Protocol which was ratified by 192 of the UNFCCC Parties. The ultimate objective of both treaties is to stabilize greenhouse gas (GHGs) concentrations in atmosphere at a level that will prevent dangerous human interference with the climate system. COP is the supreme decision-making body of United Nations Framework Convention on Climate Change (UNFCCC). All States that are Parties to UNFCCC are represented at COP. At COP, all parties review implementation of Convention and take decisions necessary to promote the effective implementation of Convention. Q. Where has the 24th meeting of Conference of Parties (COP-24) to United Nations Framework Convention on Climate Change (UNFCCC) began?